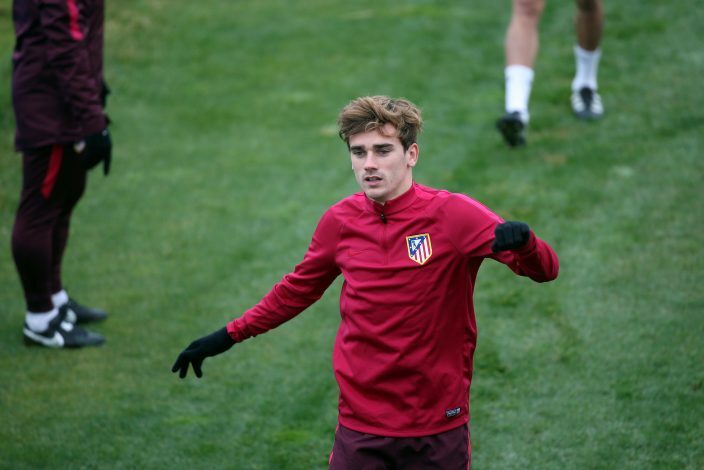 Antoine Griezmann’s brother is at it again with cryptic posts most likely to tease Manchester United supporters as speculation continues to link the Premier League giants with a summer move for the Atletico Madrid star. The French attacker has been in sensational form yet again this term for the La Liga side and is reported to be under the watchful eyes of various top clubs across Europe. However, latest reports suggest Manchester United are leading the race to snap up the 25-year-old goal-machine as they are ready to pay his £85 million release clause in full. The Atletico star’s brother Theo Griezmann, who acts as his agent, is a well-known United fan and has previously thrown mysterious hints for Man United fans about his brother’s next destination. On Sunday, Theo uploaded a series of tweets celebrating the Red Devils’ 3-2 win against Southampton in the EFL Cup final on Sunday. And anxious Manchester United supporters will be well aware of the implication, and social media scoops like this will be reminiscent of the long build-up before Paul Pogba’s world-record transfer back to Old Trafford last summer. Earlier this month, some reports in the British media indicated the Frenchman will be given a four-year contract worth £300,000 a week to link up with good friend Paul Pogba. He has been reportedly discussing a move with his France team-mate Paul Pogba and has spoken openly about linking up at club level. Initially it was claimed that Griezmann would only move to Old Trafford if Manchester United finish in the top four to secure a Champions League berth. However, it is now believed Griezmann would like to join the Red Devils even if they fail to qualify for the Champions League next season.